Homemaker Highlights: Willakaville: Amazing Adventures of Astronomical Awesomeness Review. 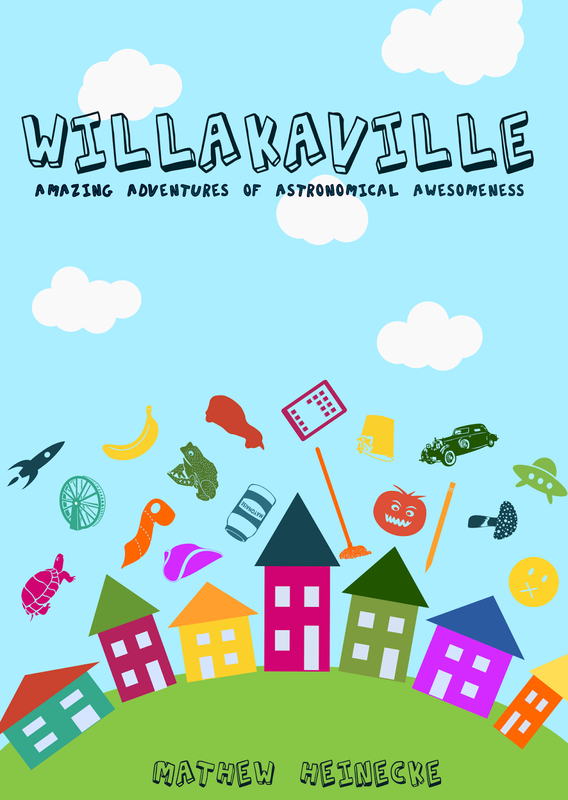 Willakaville: Amazing Adventures of Astronomical Awesomeness Review. My oldest daughter, Lilly Rose, recently reviewed Willakaville: Amazing Adventures of Astronomical Awesomeness by Mathew Heinecke. Lilly Rose said that every time she read a different story, she felt like she was going on an adventure. She found the stories to be very humorous and well written. Among her favorite stories of the book the one of Tomatozilla was her favorite. Tomatozilla is a story that has it all! From astronauts, aliens, adventure, excitement, and even a giant tomato!! You will follow Jimmy Stickleworth as he just wants to enjoy his Saturday and ends up saving the local farmer. If you have a kiddo that love Science fiction, I would definitely recommend putting this book on your summer reading list. For more information or to order this book click HERE. Labels: Willakaville: Amazing Adventures of Astronomical Awesomeness Review.